Andy Warhol | Ai Weiwei explores the influence of two of the most consequential artists of the twentieth and twenty-first centuries on modern art and contemporary life, focusing on the parallels and intersections between their practices. Surveying the scope of both artists’ careers, the exhibition presents more than 300 works, including major new commissions, immersive installations and a wide representation of painting, sculpture, film, photography, publishing and social media. 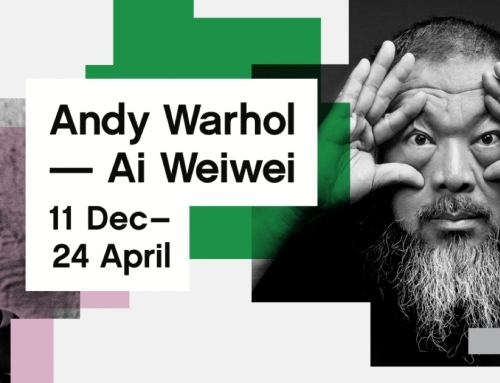 Andy Warhol and Ai Weiwei have each redefined the identity and role of the artist in society. Parallels also exist between the ways in which both artists have transformed our understanding of studio production and artistic value. Both are also renowned for their engagement with media and communications, and for the cultivation of celebrity and their own personas, in order to speak to social contexts beyond the world of art. The exhibition is a dialogue between artists from different cultural contexts encompassing ‘a tale of two cities’ – New York and Beijing. Andy Warhol | Ai Weiwei reflects the time and place of the artist through the activities of two exemplary figures: one representing twentiethcentury modernity and the ‘American century’; the other our twenty-first century moment and what has been postulated as the ‘Chinese century’ to come.